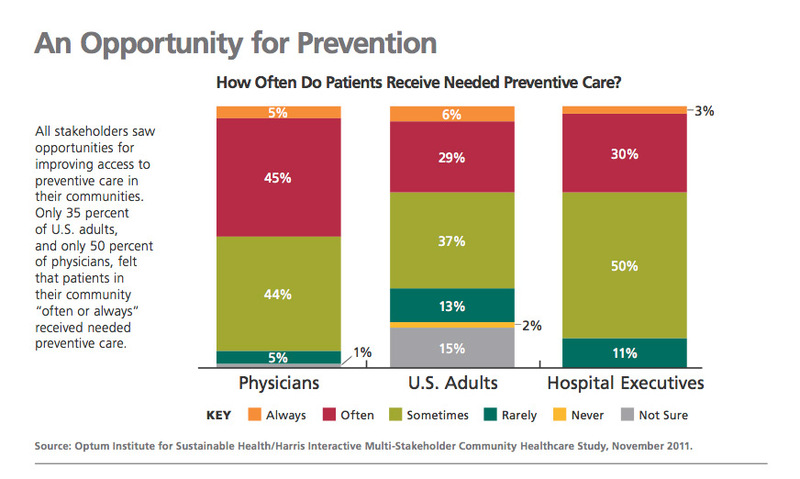 How Often Do Patients Receive Needed Preventative Care? I thought this image from Optum was very telling. This is why coordinated care is so important and why it’s important to leverage technology to engage consumers and support their care team. What’s also interesting is the other section in the Optum survey that shows that 29% of patients believe their community can reduce health care costs while maintaining quality and only 18% of doctors believe this. That seems contradictory since preventative care is supposed to reduce the costs of health care in the long run?